Many thanks to Mr D Jones for providing us with the image here for the OnSolar Blog. 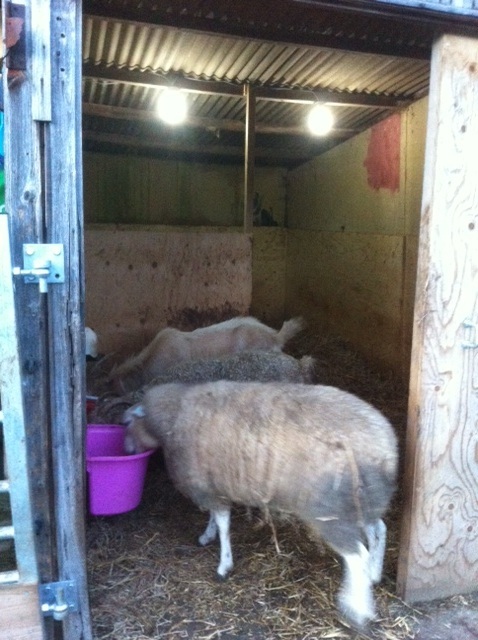 Mr Jones is using OnSolar 12V DC low energy lamps to provide illumination for his sheep – how cool is that! Another totally cool off grid application for 12v DC lighting – a simple regulator, 12v battery, 2-core lighting cable a switch and some OnSolar low energy 12V DC bulbs provides a comfortable light level for the owner and the animals. Safe maintenance and simple chores can be performed with ease when a quality light source is available on site. Let’s consider a moderately sized remote stable block with 4 separate areas which we want to illuminate. Maybe there is as a dedicated working area which can of course be fitted with an independent light circuit complete with switch with say two of the new breed OnSolar 3w led bulbs.